So... Who is going to be in Tampa Bay's rotation now? what is the point in including Villar. Baltimore this is stupid. maybe Baltimore felt like they had to have a replacement Jonathan. Do any trade moves hint that a team is likely going to call up top prospects in the near future? Guys like Guerrero Jr., Jimenez, etc. maybe Meadows that went to Tampa Bay. Do you think there were any others stupid trades today? They'll rotate them based on matchups. Schoop might get some time at shortstop. Maybe Schoop can play SS?. I'm not sure just guessing.. It should be Shaw but I haven't looked at defensive metrics. 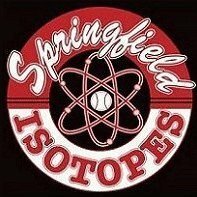 For the price they just gave up can't be schoop. Kinsler to Red Sox. who plays 2B for LA now? I think the AL/NL gap has narrowed to the point of being negligible over the years. Nay, I don't. It never will narrow until the NL puts big boys pants on and gets the DH. That's what the Nats do best. Stand pat as the rest of the world passes them by. I am shocked Kintzler got moved. But Shaw has some years left in his contract. Why open a hole at 3B after this season? Yeah no way would Shaw be moved. He may be squeezed in the short term but Moose is a rental. Interesting to see if they do try Schoop or Shaw out at SS. Arcia was just recalled from a really good stint in the minors but was bad earlier in the season so maybe they are looking at filling SS wtih Schoop or Shaw. Meanwhile Schoop joins a number of former O's celebrating their escape away from a sinking ship. Did Baltimore get rid of more ACTIVE ROSTER players than anyone else so far? Machado, Schoop, Gausman, Britton, O'Day, Brach are all gone. Missing any one else? Did TB come close to them or any other team? And Shaw hasnt played at 2B at all so who the heck knows. It was just a guess on my part. About Schoop above. Well he is better than Shaw there then and Arcia is iffy and the Brewers finally freed themselves of Viliar at last. So I say ding, ding, we have a winner. Arcia can be the defensive guy and let Schoop start maybe. Thought you'd be getting better odds honestly. Just something interesting I saw on MLB Network. 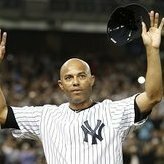 The two SP that the Yankees added, Lynn (77% FB thrown) and Happ (74% FB thrown), throw the 2nd and 3rd highest percentage of FB among qualified pitchers. The top two teams vs the FB are the Yankees and Red Sox who's wFB stats are respectively 85.8 and 64.5. The 3rd best team vs FB is the Indians at 61 wFB. Just an interesting stat that doesn't necessarily mean much. Perhaps the Yankees have them throw other pitches more frequently. 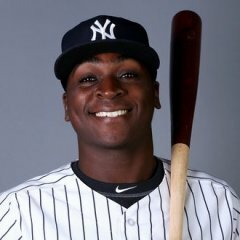 is there still a chance rodney could be moved? Brewers didn't add a starter, that wasn't all that smart, it's not a softball game in the tournament. 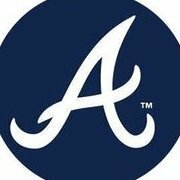 Pittsburgh is 3.5 back of WC spot and 7 out in central, hits gas with Archer trade. L.A. Dodgers loading up for war with Dozier, who kills lefties, Cubs have 4 in the rotation.